Schmetterling Aviation: Now legal in all 50 states! Now legal in all 50 states! Well, we were already legal in all 50 states, but because of numerous weather-related cancellations I had yet to complete the FAA-mandated biennial (it will be required every two years from here on out) check of the transponder. The transponder is one of those invisible, silent (to me) pieces of kit that you only really think about when you're working directly with ATC and they give you a "squawk code" or when you are trying to find good enough weather for the fifteen minute flight to the avionics shop. While is doesn't get a lot of attention day-to-day, the transponder is actually quite important. The skies are not what you would call crowded, but it is the fact that every now and then planes do tend to get near each other, particularly near large airports. 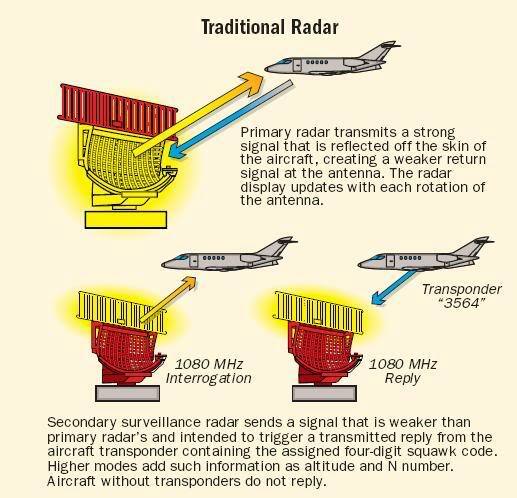 To avoid messy collisions, we have Air Traffic Control watching us on radar and keeping us separated from each other. To do that, it is important that 1) they be able to identify any given blip on their screen, and 2) be able to discern our altitudes. It would be wildly inefficient to vector a fuel-chugging 747 around a diminutive RV-12 if the 747 was cruising at 33,000' and the RV-12 was scooting along at 3,500', right? To facilitate both of those needs, the transponder sits quietly listening for the radio waves of an ATC radar scanning across the airplane. When it detects such a signal, it encodes (remember the 'encoder' that I had to replace on the RV-6? This is what it does) the airplane's current altitude and squawk code into a return signal that it then transmits back to the ATC radar where it is displayed on the controller's screen. The squawk doesn't enter into my day-by-day flying because I primarily fly VFR. That basically means that I am not talking directly with ATC other than the small transactions involved when flying out of a tower-controlled airport. Because I am not talking with ATC and they have no way of talking to me if I don't open a conversation with them, I use the standard VFR squawk code '1200'. This alerts the controllers that they need to vector any traffic that they are controlling (typically jets, but also small planes flying voluntarily under their control) around me as if I am an obstruction. To do that reliably, the altitude that my transponder/encoder (which are one in the same in the RV-12, as opposed to being two separate physical devices as installed in the RV-6) has to be accurate. Hence the requirement for a two-year check. That said, the only (pertinent to me) requirement to have a working transponder is within controlled airspace or within a 30nm radius of a big airport such as Cincinnati or Cleveland. This is why I was able to fly the plane without a certified transponder for the last few months, but I was limited to flying only to places not within thirty miles of those two airports, and not within the Port Columbus controlled airspace. That said, I really wanted to have it done - I'm just not comfortable living in carve-outs from FAA rules. It would have been done ages ago, but every time I scheduled an appointment with the avionics shop and planned a day off of work to get it done, I was faced with the same egregiously bad weather that has been the very hallmark of this entire summer. Yesterday was a notable exception: it was a beautiful day to fly. At least as far as the weather goes; I did detect a notable lack of expertise resulting from not having flown for awhile. The actual flying of the airplane was okay, but some of the more easily eroded skills showed a little, well, erosion. Most notably, I blithely announced my intentions to land on runway 23 at the destination airport right up until I turned final and saw a huge 5 emblazoned on the end of the runway! Good thing there was little to no wind - I just went ahead and landed on 5. There were no witnesses, so in effect there was no crime. Still.... not good. I pulled up in front of the avionics shop's hangar and we got right to work. The way they test the encoder is to fool the airplane, or more precisely, the avionics, into thinking the are in the air. There are two components to doing that: they need to provide a calibrated pressure to the pitot tube to simulate the press of air that it would feel if it was flying through the air, and they need to apply a calibrated suction to the static ports to simulate the lower air pressures of higher altitudes. The pitot source is easy - it's just a matter of sticking a rubber hose to the inlet of the pitot tube. Static is a harder to do. They use this really cool suction cup mounted thingy. The disk that the vacuum hose is attached to is covering the static port on the side of the fuselage. The static port on the other side of the fuselage is covered with a piece of tape to seal it. I sat in the airplane to manage the Dynon. Because modern avionics use more than just pitot/static in their computations (they blend in GPS-based ground speed, aircraft attitude, and GPS altitude, I think -- it's very, very complicated), the system has to be shut down after every test. That would be my job. If you recall, the method advocated by Van's for checking the pitot/static system for leaks was absurdly error-prone, so I sat there just thinking "Don't have a leak. Don't have a leak. Don't have a leak. Don't..."
For a moment, I just sat there thinking, " have a.... Aw crap. Aw crap. Aw crap!" Since I was more or less expecting it as a possibility, I recovered from that fruitless litany of woe and started to think. First question: "Is it pitot or static?" Once asked, I started thinking "Don't let it be static. Don't let it be static. Don't let it..."
Phew! A static leak would be removing the fuel tank, which was currently hosting fifteen or more gallons of expensive fuel, and then removing the aft cabin bulkhead. A pitot leak could also require that, but only as the last item in a list sorted by increasing difficulty level. The other two possibilities are the joint right behind the propeller reduction gearbox and the joint between the pitot line and the old D-180 era static line. Of the two, the mostly likely (and easiest to get at) culprit was the joint behind the gearbox. Getting to that would be simply a matter of removing the top cowl. There are so many things that can go wrong under there that I actually bring the tool required to remove it with me every time I fly. As you can see, this is a pretty questionable way of doing things, but it is done exactly as designed, so it is what it is. I removed the back hose. The technician plugged the pressure hose onto the pitot line and immediately confirmed that there was no longer any leakage. Once the test was done, I reattached the pitot line with a dab of hi-temp RTV in the hopes that it would seal the leak. The jury is still out on the efficacy of that field repair. While I was there, The Jackson Two flew in with their newly painted plane. The paint job was flawless - I'm going to use the same paint shop. The only downside is the wait - I probably won't be able to fit into their reservation book until spring. Worth the wait, though. We flew down to Portsmouth for lunch. This is the panel of an RV-8. It is notable because that middle instrument in the column of three in the panel cost more than my entire Skyview system, and the Skyview does everything his entire panel does, with the notable exception of being able to legally make GPS instrument approaches. I don't fly instruments anymore, so that's no loss. You will notice something new on the panel. I had The Jackson Two pick up that new GPS on the right side of the panel while they were up at Oshkosh - it was a little cheaper as an Oshkosh special. I already have a GPS in the Skyview, but a new ruling from the Dept. of Redundancy Dept. - Avionics Division deemed thet I have an alternate navigation source. Just kidding. It was as I was flying between cloud layers on the way to Culpeper in the RV-6 that it struck me that should anything cause the GPS to stop working, I would be in a real pickle. In the 12, should the Skyview (which is really nothing more than a small Linux computer) decide to act like every other computer I have ever owned, which is to say "suddenly stop working for no discernible or correctable reason," I would be in real trouble. The 12 is easy enough to fly that I could do it without an airspeed or altimeter reading in a pinch, but navigation would be a real problem. Hence a second GPS, just in case. Weather was obviously of no concern, though. It was gorgeous! The neat thing about my backup GPS is that it can easily be removed from the plane and taken home. That's handy for flight planning because it contains every VFR sectional map, IFR enroute map, and instrument approach plate for the entire country. They're moving maps, which means they scroll along under the airplane while in flight. Still not needed for the great flying conditions. As I approached Bolton Field, the backup GPS automatically brought up the instrument approach plate. Here you can see it as I taxi my GIGANTIC airplane from the runway up to my hangar. The flight back from Portsmouth was somewhat interesting. About halfway back, the new GPS started screaming about us being inside a TFR. A TFR is a temporarily restricted flight area. They are most commonly found when the president flies into Ohio on a campaign trip, but they can also crop up for other reasons. As a matter of course, I had checked the TFR list before I flew out in the morning, but pilots have been caught out before my low-notice TFRs popping up. I was afraid that I was about to be snared by one of those. I was downright nervous that I was going to be met by a gob of government goons with machine guns once I landed. To make my discomfort worse, I was monitoring Bolton Tower and the radio was notably silent. Like it would be, for example, if there was an active TFR in effect. Dead. Silent. Silent, that is, until I was just about to key the mic and report myself as eight miles south, inbound, landing. "Bolton Tower, Cherokee three eight Victor, eight miles north, inbound, landing." Aw, crap. In the RV-6, that would have been the signal to push the throttle forward and get to the airport first. In the 12, there's no point in that. I was already going as fast as I could. As I was entering the downwind leg at midfield and just keying the mic to declare myself the victor, the Cherokee chimed in from a two mile right base. The tower cleared him to land. I then reported left downwind. That screwed up everything for the tower. I was much closer than a two mile right base. He cleared me to land with an emphatic "SHORT APPROACH" concatenated to the end of his clearance. He then told the Cherokee to either work his way back to the north to allow for a long final, or to do a 360 out of the base leg. The Cherokee guy was a little flummoxed, mostly because he was just returning from Oshkosh and was bone tired. He got lucky, though. One thing I can do well in a Van's plane is get it on the ground in a hurry. I was slightly past the numbers (the approach end of the runway) and was able to pull the throttle to idle, make a fairly steep turn towards the runway while letting the airspeed crawl up into a range safe for high bank, low altitude turns, and land quickly enough for him to just come on along and land right behind me. Once I had the plane put away, I went over to talk to the pilot of the other plane (who I know - he actually had an RV-6 ride with me a couple of years ago) to give him the opportunity to thank me in person for my consummate piloting skills. Which... he failed to do. "Oh, that kind of thing is easy in an RV," he said. And to be honest, he was right. Hope you like the iFly - I've been eyeing that thing for a while now.